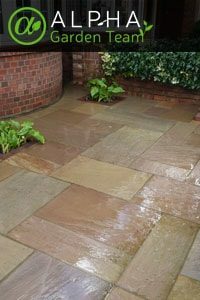 Natural stone and limestone patios. 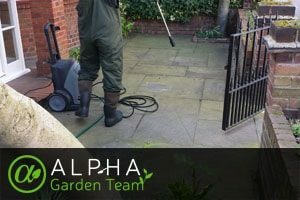 What are the Benefits of the Professional Jet Washing Service? The team carries nozzles that will fit any internal or external tap in the UK. The powerful pressure washer is the driving force behind our services. When the professionals assemble the equipment on-site, they will use a suitable nozzle attachment to connect it to any external or internal water source in your property. The water will then be released under high pressure to blast away any mud, grime, moss, or algae from your exterior property surfaces, restoring their original look. When dirt and weeds start creeping in, our professional jet cleaning can help you turn the losing battle into a decisive victory. Just fill in our request a quote form. Alternatively, you can schedule your session with one call on 01172 420001. All booking options are available 24/7 and the technicians can arrive for any day of the week, even on official holidays, so there’s always time to get the job done!